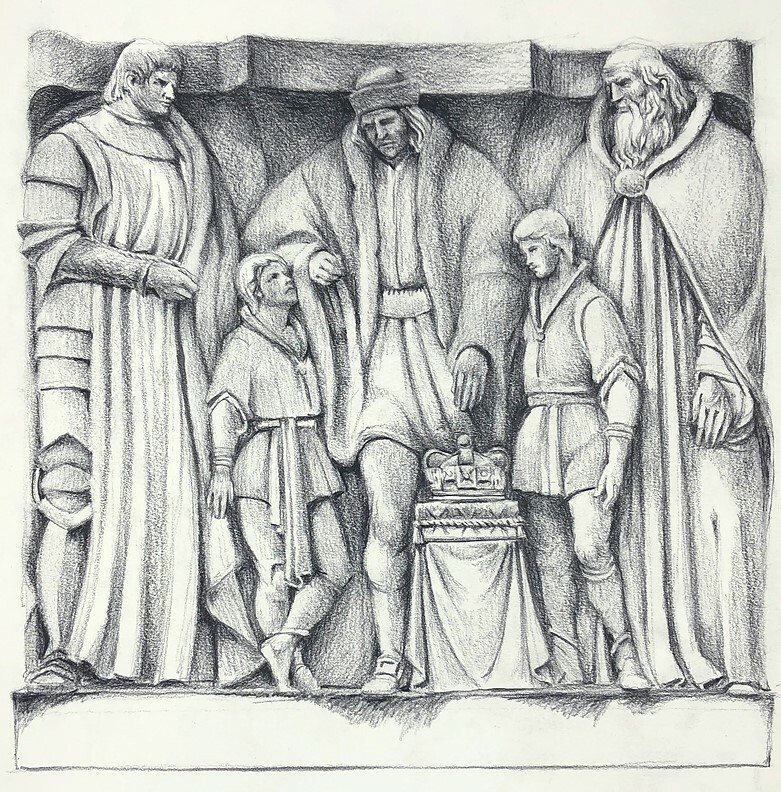 Artist Paul Glenshaw writes about drawing the bas-relief of Richard III by sculptor John Gregory on the front of the Folger Shakespeare Library building. 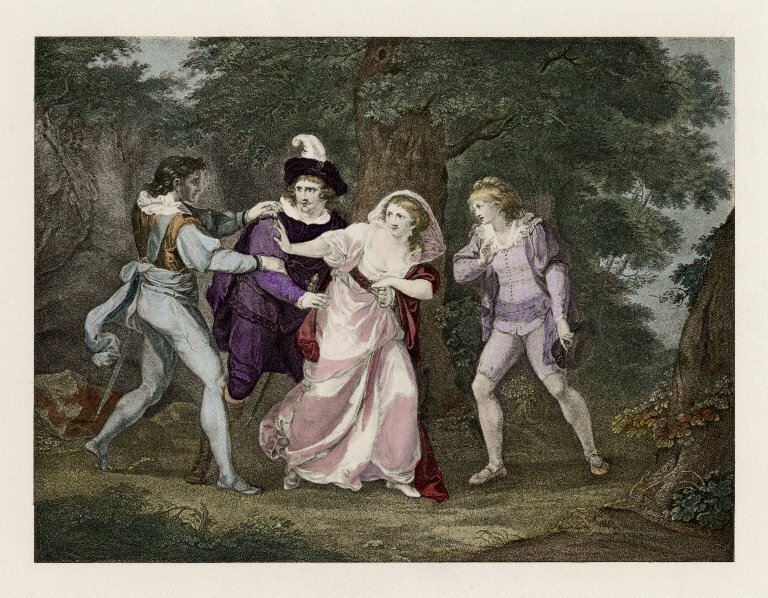 During the late 18th and early 19th century, professional women artists in England were becoming more prominent and turning to Shakespeare for material. 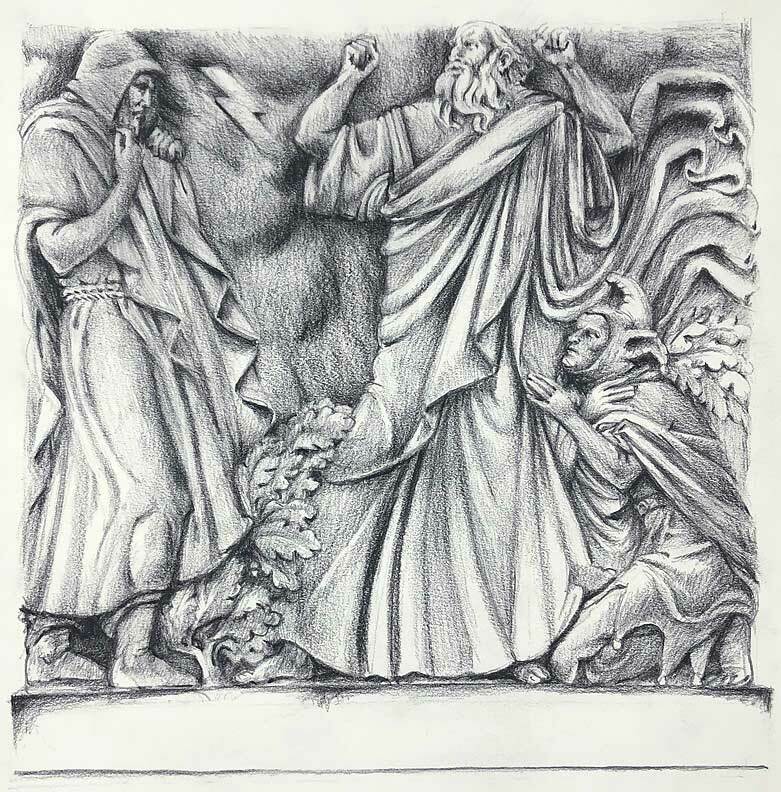 Artist Paul Glenshaw writes about drawing the bas-relief of King Lear by sculptor John Gregory on the front of the Folger Shakespeare Library building. 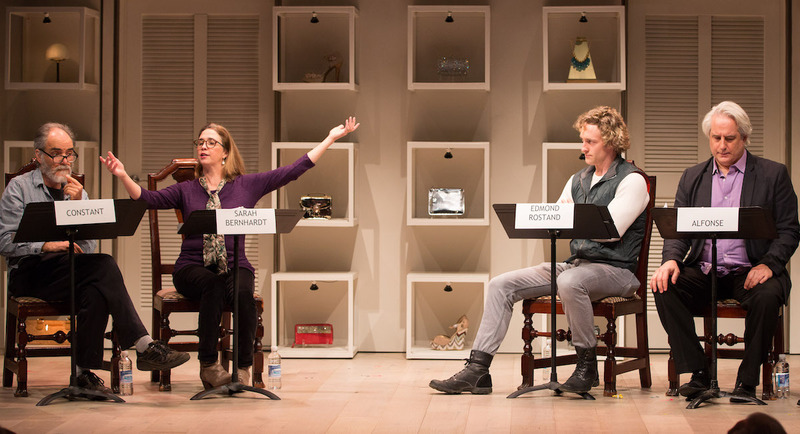 It’s not unusual to see theaters sponsoring monthly or semi-regular meetings devoted to reading and talking about Shakespeare’s plays. 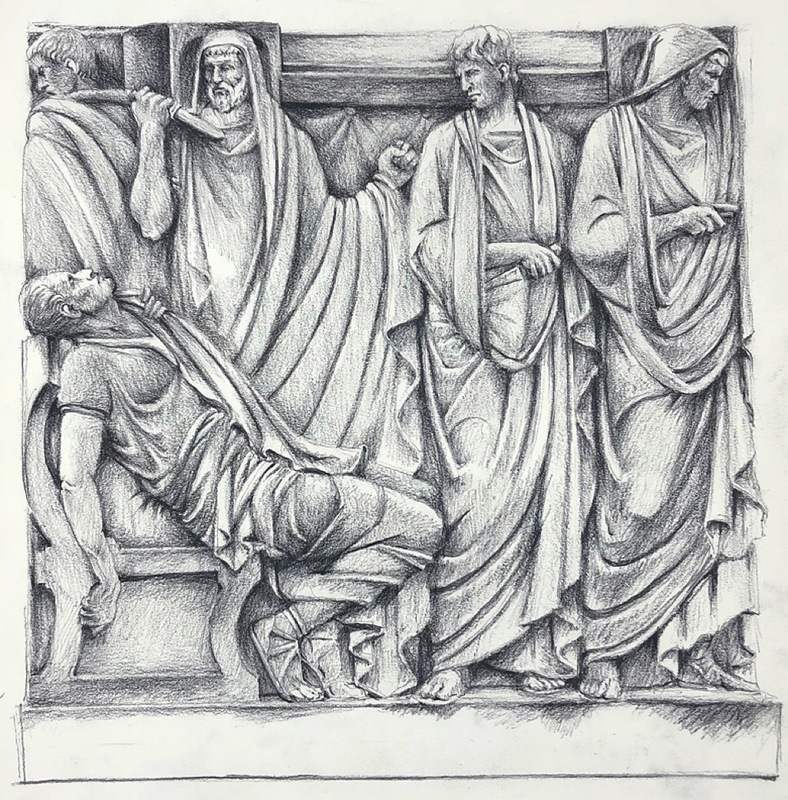 Artist Paul Glenshaw describes drawing the Folger bas-relief of “Julius Caesar,” in which assassins with their knives start to turn away as Caesar dies. 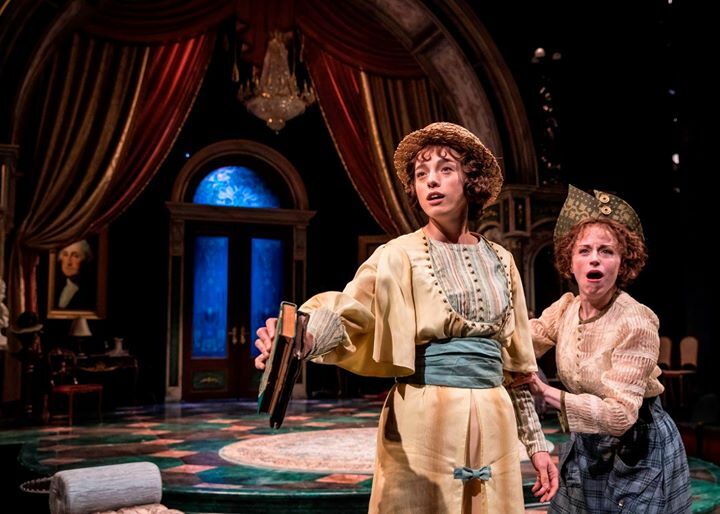 He pairs the image with a painting by Jean-Léon Gérôme at the Walters Art Museum in Baltimore and a matching engraving at the Folger, which reflect the same scene just a moment later. 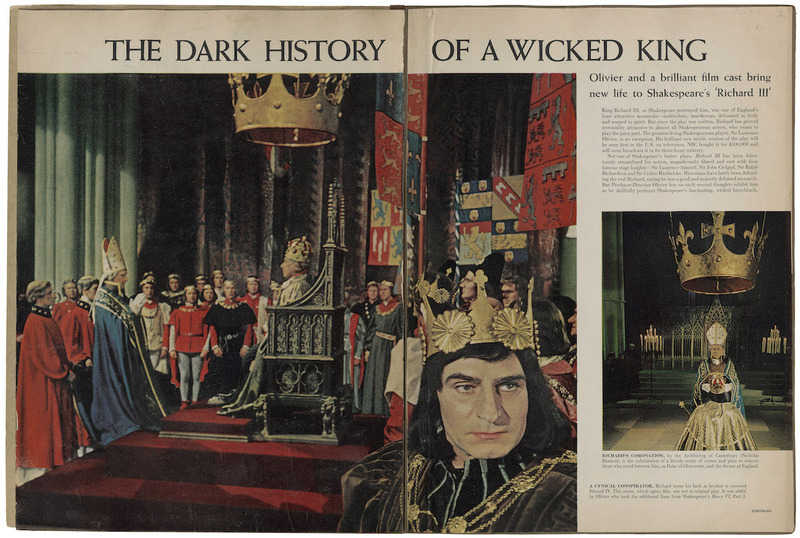 With a US audience of tens of millions in its TV release at the same time it was released in American theaters, Laurence Olivier’s film “Richard III” (1955) has left a lasting, sometimes hilarious, legacy in pop culture, from Peter Sellers’s lofty and amusing reading of the Beatles’ “A Hard Day’s Night” in Olivier’s style to modern-day TV villains who speak directly to the camera and win us to their side. 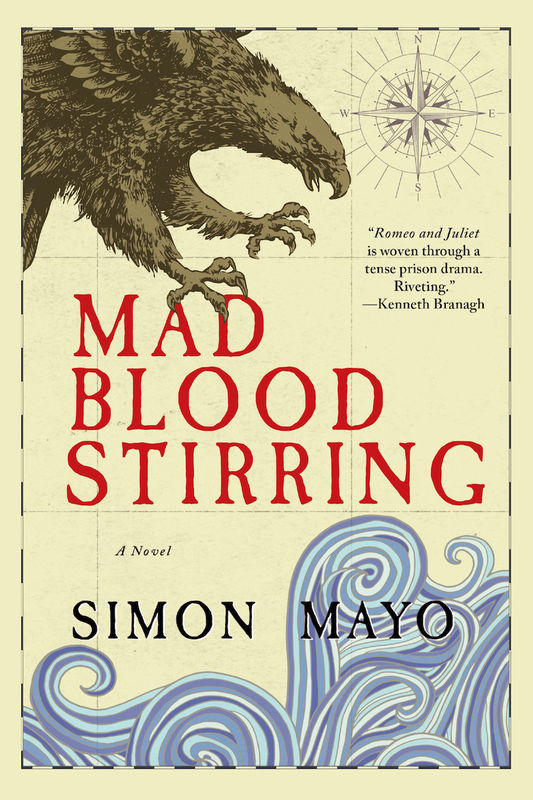 Inspired by a real-life episode, Simon Mayo’s novel ‘Mad Blood Stirring’ tells the powerful story of a Shakespeare production by African American prisoners of war at Dartmoor prison in England, near the end of the War of 1812. Happy New Year! 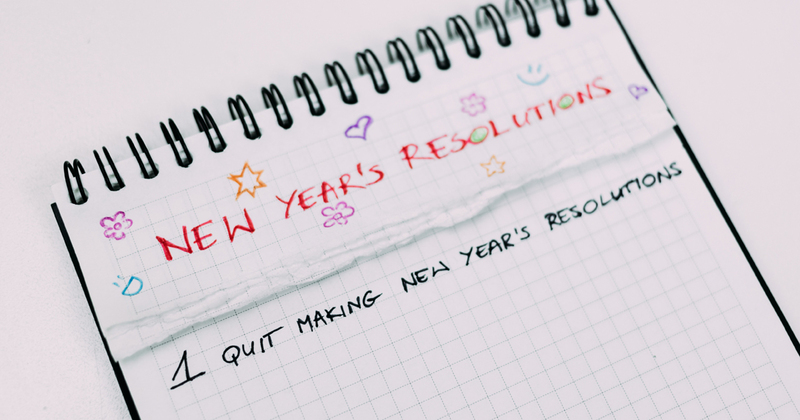 We picked out four awful ideas for New Year’s resolutions from Shakespeare’s “Love’s Labor’s Lost” and added some hints for improvements. 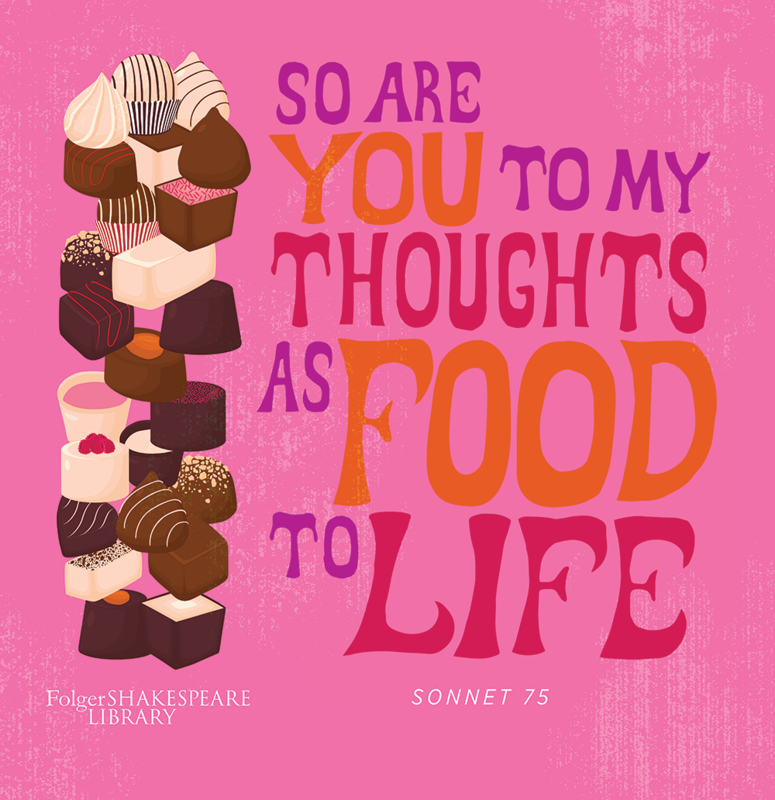 Enjoy our most popular Shakespeare & Beyond blog posts from 2018, an eclectic range including a tasty 17th-century recipe, a quiz, a new play on Sarah Bernhardt and Hamlet, a female science fiction author from 1666, and a look at theater etiquette in Shakespeare’s time and now.